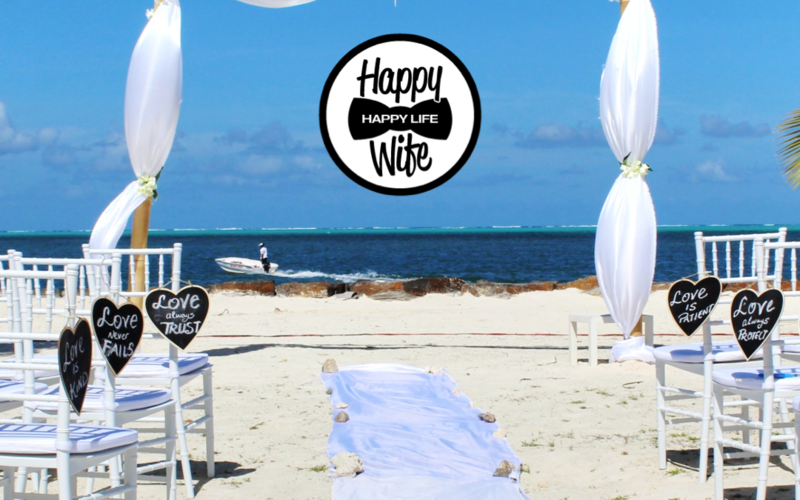 You have your heart set on marrying the love of your life at a romantic beachside cabana. Or maybe on the sand of a private island in the Caribbean. Or maybe at a fun and hassle-free all-inclusive resort in Jamaica. All of these destination weddings sound wonderful right?! Well, we’ve got you covered. Before planning your destination wedding, you will want to visit your location! You can look at as many photos online and know this is the spot that you want to get married, but being able to physically visit the location will make it easier to make a final decision. Visiting the spot will also give you a chance to interview local vendors and get a vibe for your wedding day. While doing your on-site visit, set up meetings with vendors! Make sure to ask your venue for referrals. Also, using local vendors will definitely keep your budget lower. Incorporate local flowers, cuisines and decorations to save money. To keep your destination wedding true to its local feel or vibe, use local florists with fresh flowers from that season and have a menu set up that reflects your taste as well as the local culture’s cuisines. ALWAYS carry your dress with you as a carry-on! Even if this means you have to fold it. You can steam it once you get to your destination. Whether your gown is a beach gown, a lace gown, or a ball gown, you do not want to take the chance of your most precious item getting lost somewhere. Also, be sure to pack your wedding accessories with you! When deciding on a destination wedding, take your guests into consideration. Find hotels near the venue for all your guests before you set the date. The hotels should only be 10-15 minutes away from the venue, maximum. You do not want your guests to have to travel to the destination then have to drive to the venue far away. With destination weddings, give your guests at least 4 months with the save-the-date invitation. This will give them plenty of time to request vacation time from work and make travel plans. While planning a destination wedding, look into the marriage requirements for that specific country and/or city. 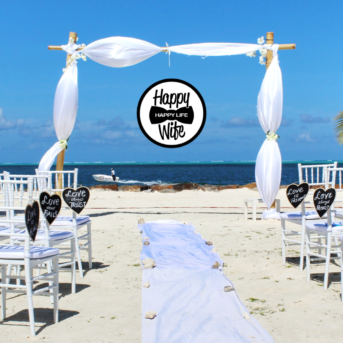 Check to see if you need a special permit to have a ceremony on the beach. You do not want to have spent so much time planning this magical ceremony to have local authorities say it can’t happen. As romantic and special as destination weddings can be, if you can’t communicate what you want to the venue personnel, things can get rocky. Hire a planner who can speak both languages if needed. You can even ask if the venue has any staff that can speak both languages. This will make things go a lot smoother. Don’t let communication issues get in the way of planning the wedding. There are always people willing to help you! I hope you like our destination wedding planning guide. Check out our blog for more #WEDDUCATION wedding tips and tricks and follow us on Instagram and Facebook.